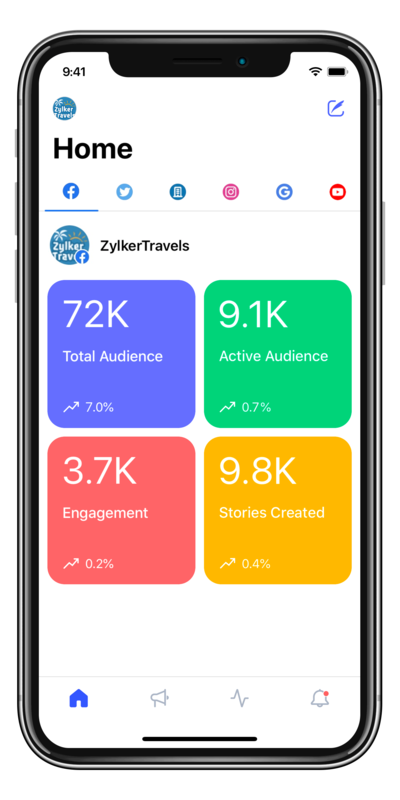 Capture moments, create drafts, and engage your audience, with the Zoho Social mobile app for iOS and Android. 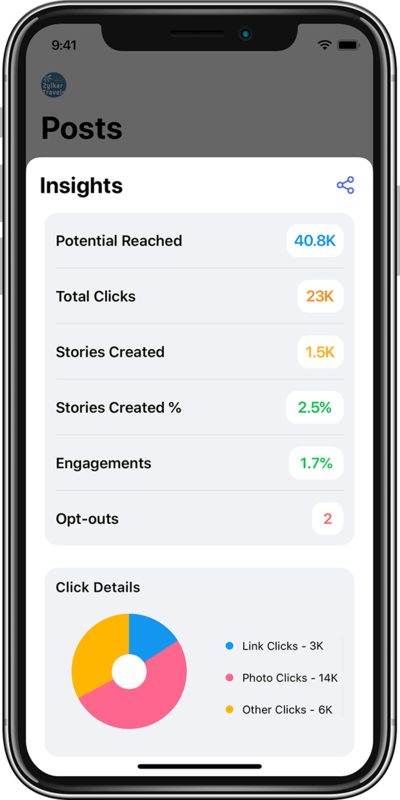 Craft engaging posts, add them to a publishing queue, and manage your content pipeline better, all while you're on the move. 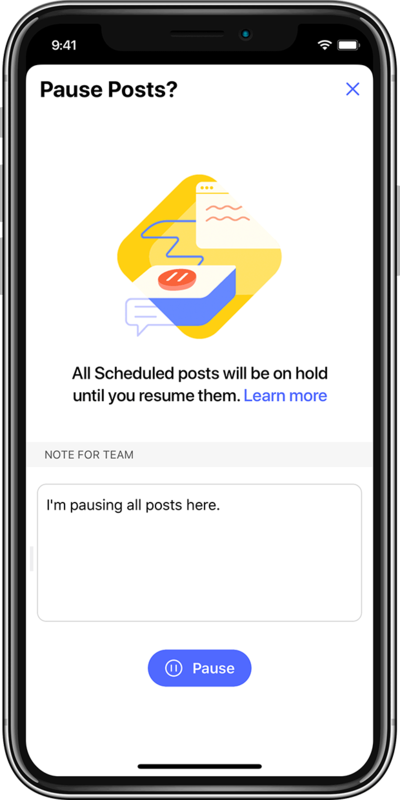 Whether you're in traffic, or waiting in line, make up for lost time by adding posts to your queue. Inspiration can strike even when you're 10,000 feet up in the air. 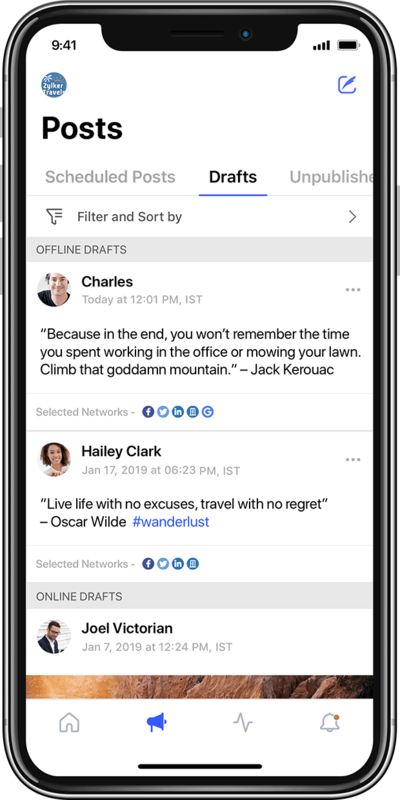 Create new posts wherever you are. 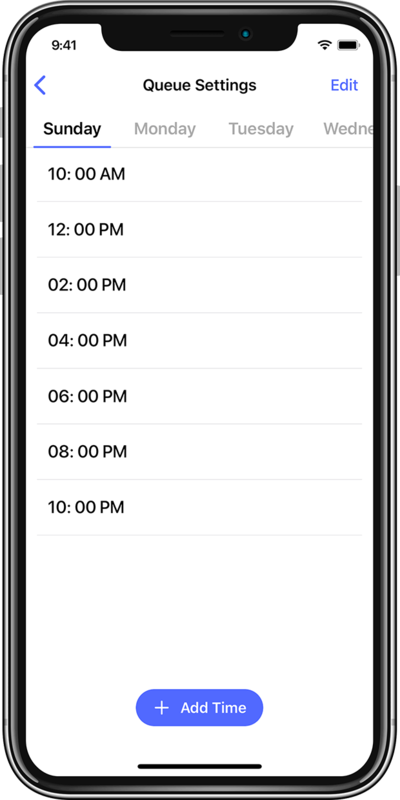 Just tap a button on your phone at any time, to pause all your scheduled posts right away. Storytelling with pictures? Bring out the best in your images with our wide range of editing options. Listen to what people are saying about your brand, at any time. 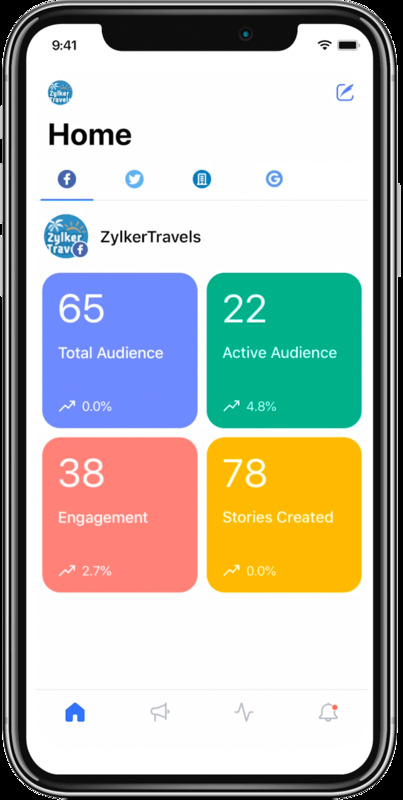 Track users, mentions, hashtags, and more, so you're always connected to your audience. Listen to what people are saying about your brand, at any time. 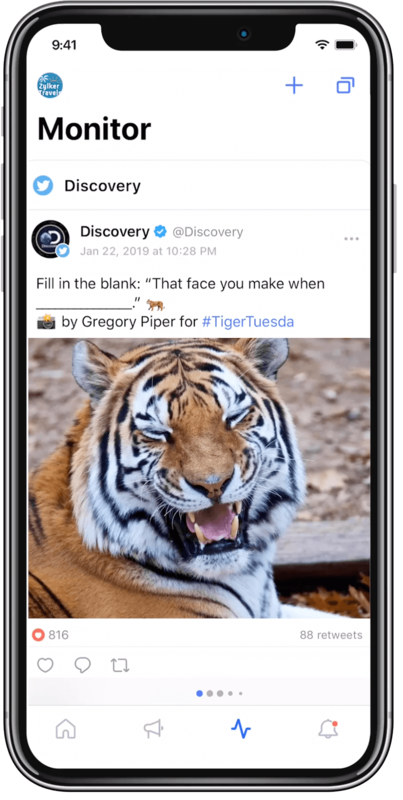 Track users, mentions, hashtags, and stay connected to your audience at all times. Take a look at how your brand is performing across channels. Find out how many people you've reached, and what's working best for your business, right from your smartphone. Tired of copying and pasting content? Make it a thing of the past! The built-in share menu available on Android and iOS devices lets you send content directly to the Zoho Social app.